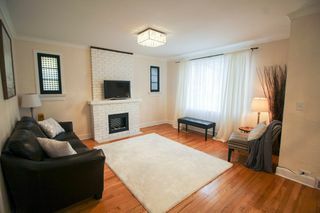 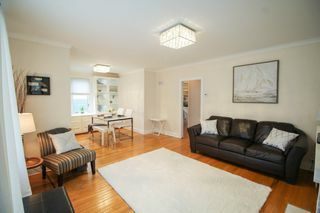 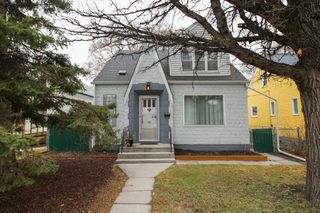 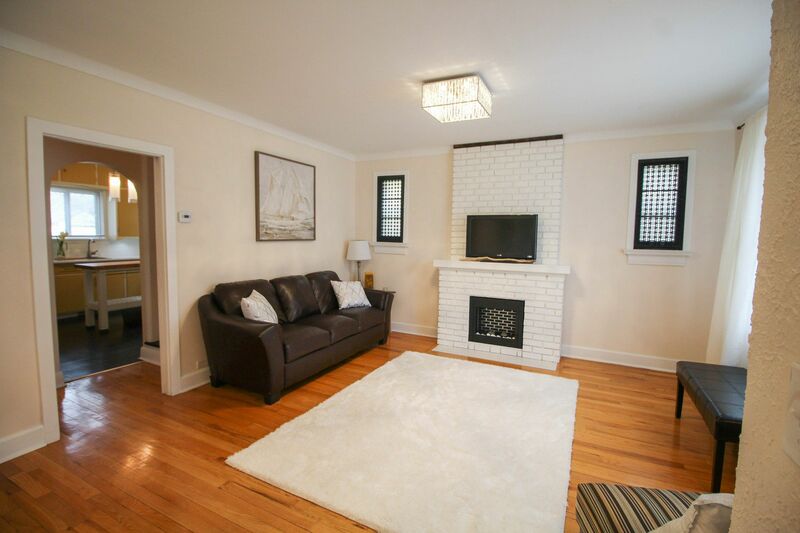 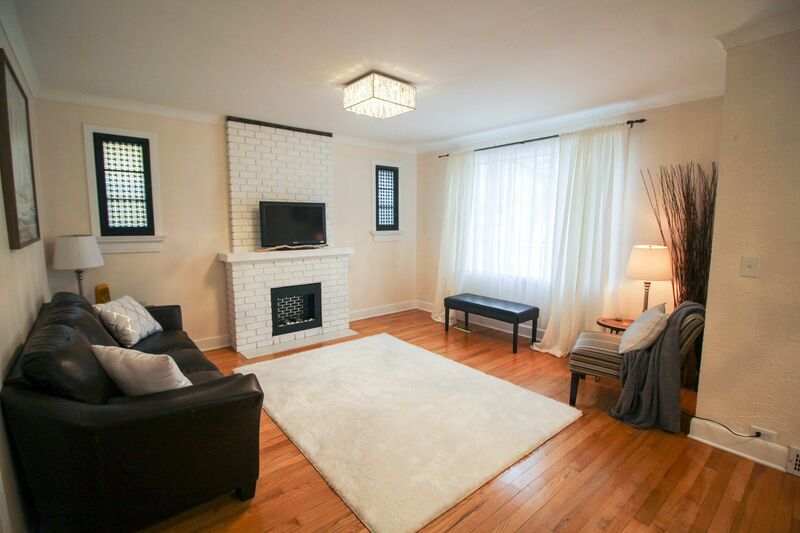 This charming & warm 3 bedroom family home has been lovingly taken care of & is ready for new owners to fall in love with it! The main floor features hardwood floors with a spacious living room with brick fireplace with indoor fuel cans plus a nice sized dining room with built-ins. 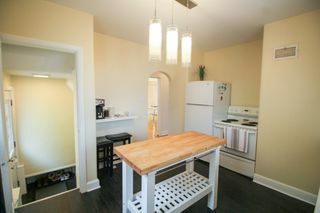 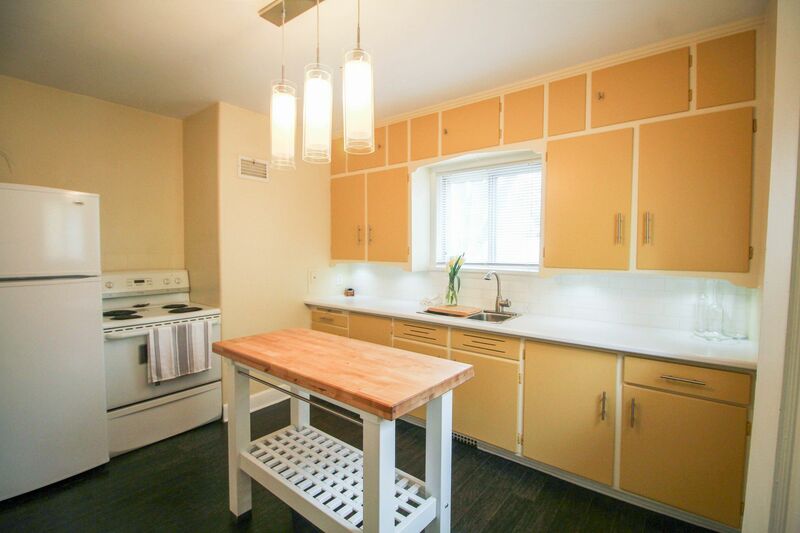 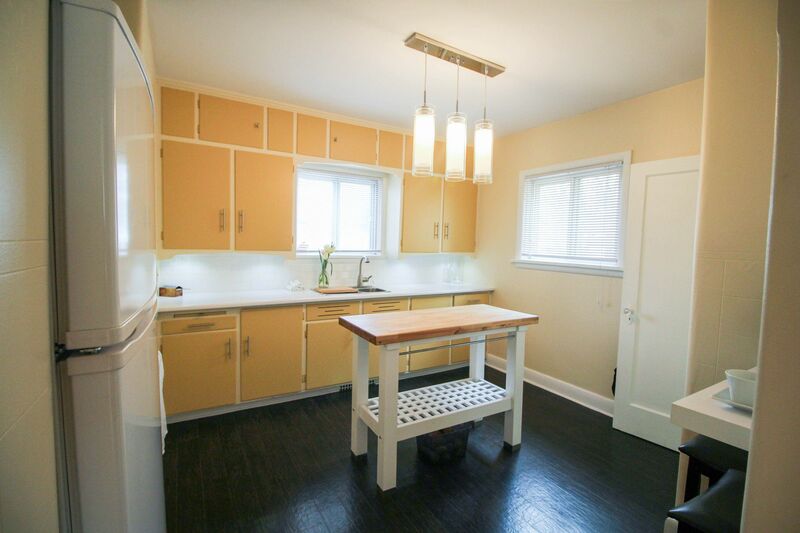 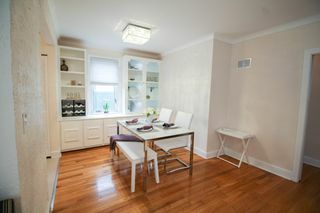 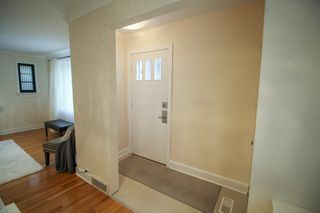 Spacious kitchen with newer vinyl flooring has a movable island with the fridge & stove remaining. 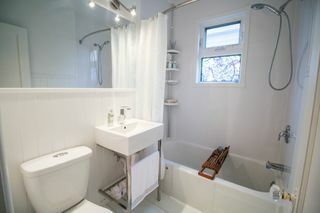 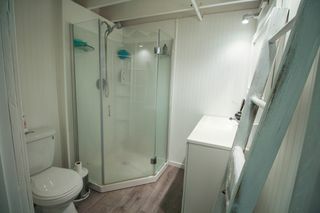 The modern 4pce bath was remodelled in 2014. 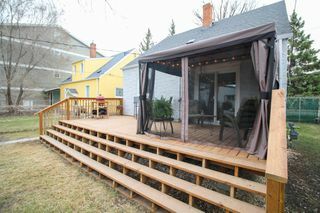 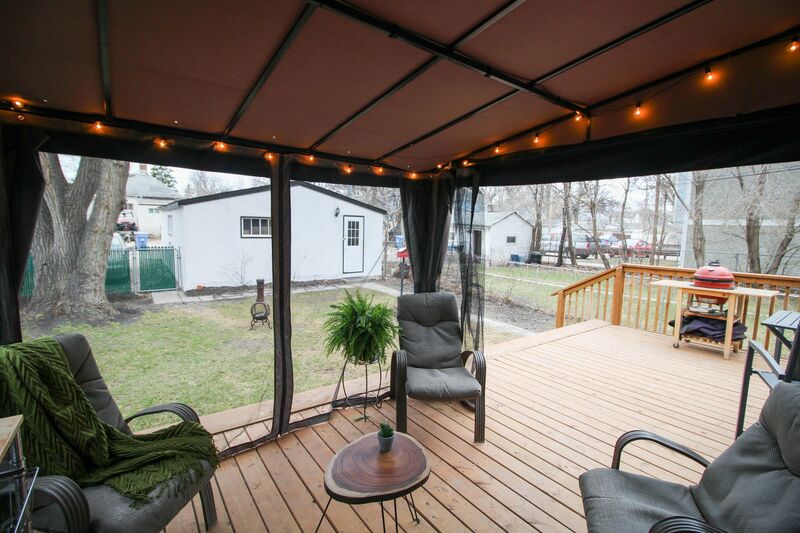 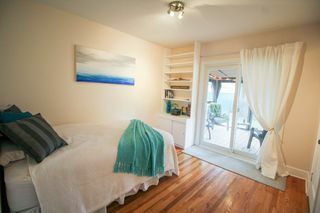 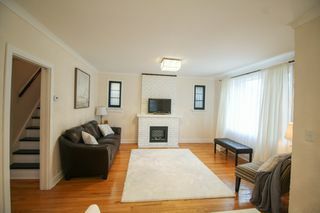 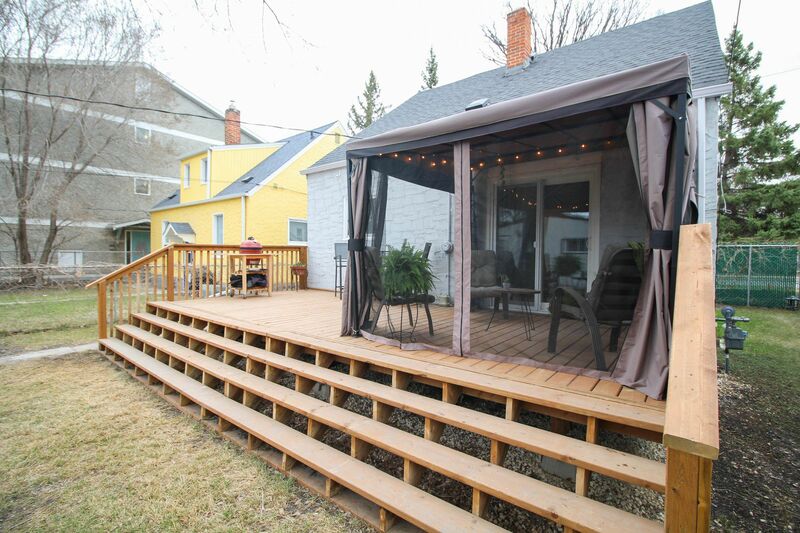 The main floor bedroom is a nice size with a new patio door (17) to the backyard & new deck (17) & the gazebo can stay. 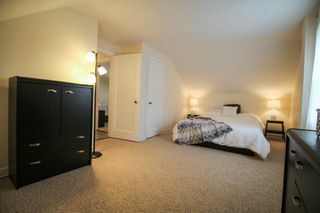 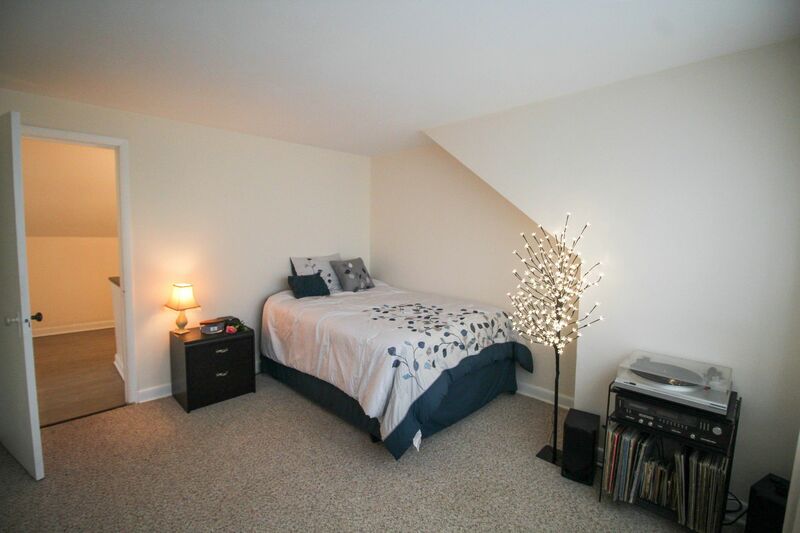 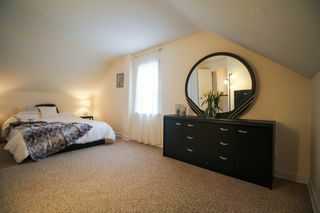 The 2 upstairs bedrooms are a really nice size plus feature a landing for extra space. 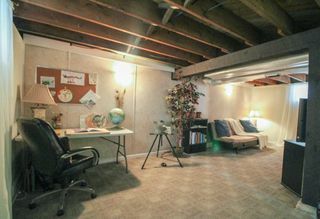 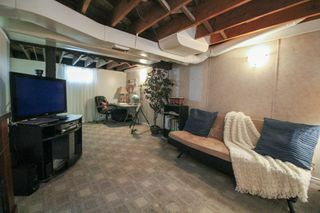 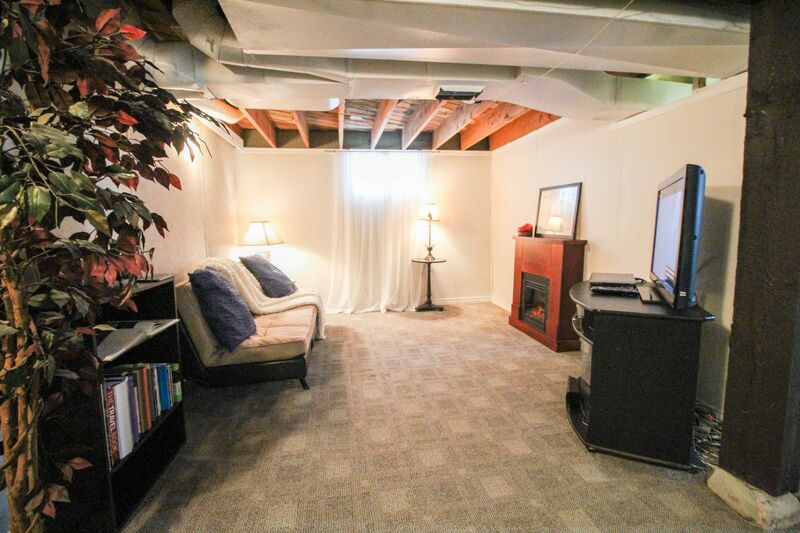 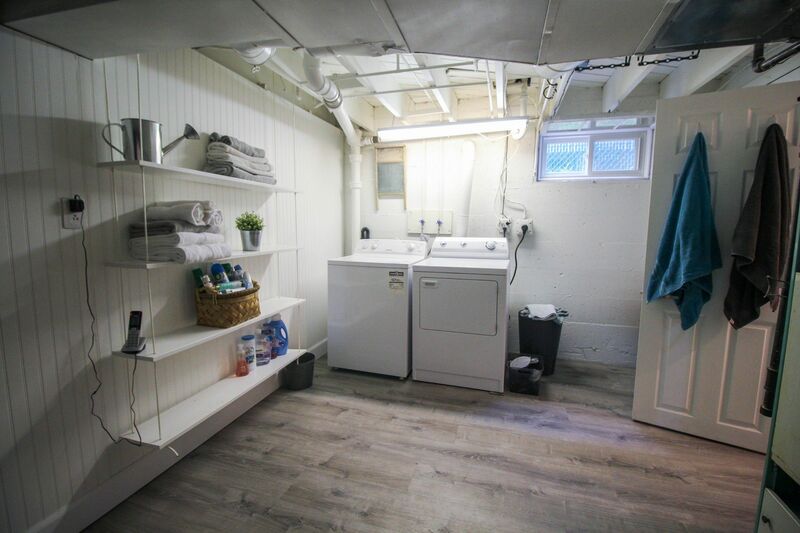 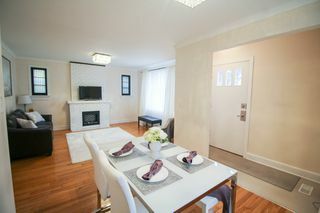 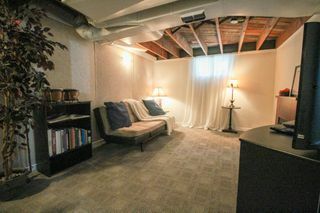 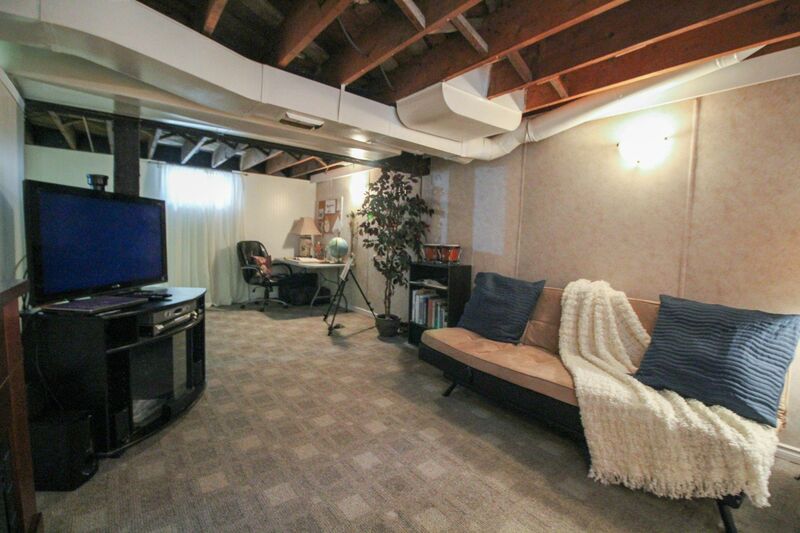 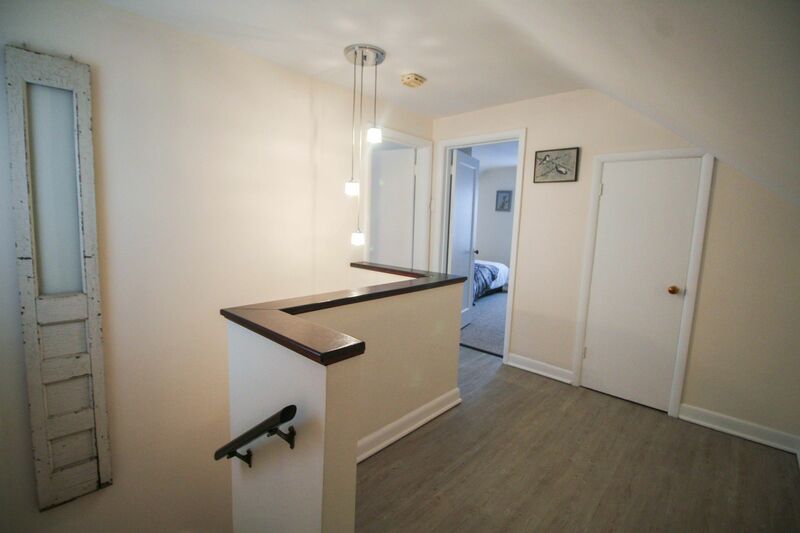 The full basement is partially finished with a rec room, nice sized laundry room with the washer/dryer remain, a utility room plus a modern 3 pce bath. 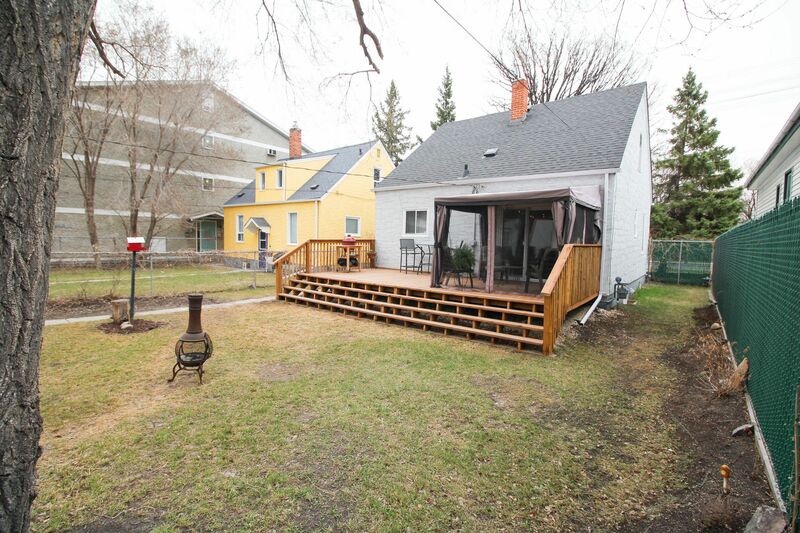 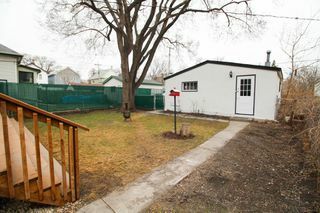 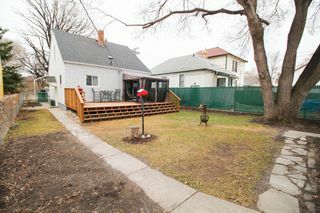 Nice size fenced yard with a double detached garage and parking for a 3rd vehicle. 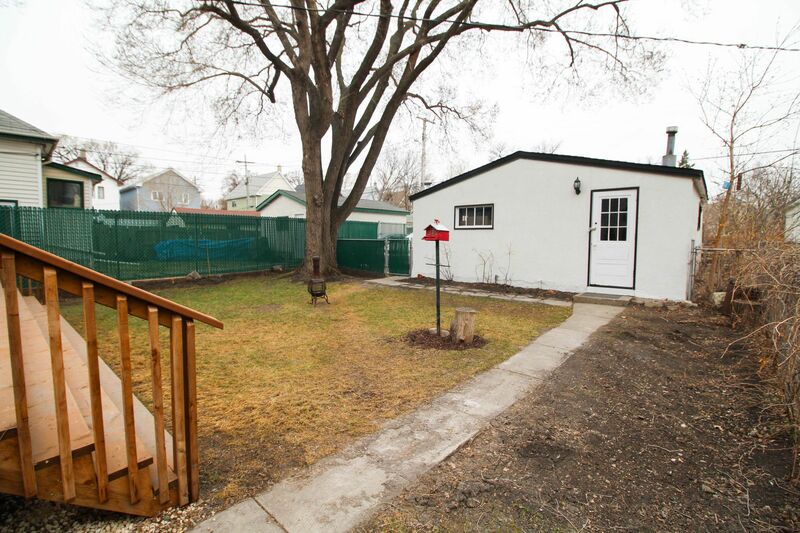 Shingles on the house 2011, garage 2017, HWT 2014. One year warranty on mechanical.